What is Traffic Jeet 4? Another scam? If you are here checking out: what is Traffic Jeet 4 all about? you must have received some email marketing materials from its owner, heard about it through friends, or read about it somewhere on the internet. Congratulations for taking the time to do your own research, instead of just taking things at face value. Here I will provide my honest and unbiased view of this product, going into the details of how it works, who it will work for, and my other recommendations if it is not going to work for you. 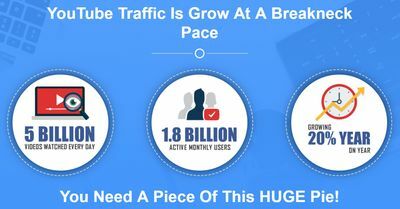 Traffic Jeet 4 is a tool that aims to help your videos rank high on YouTube. It is a suite of ranking tracker, keyword finder for your videos, keyword finder for ads, niche finder, and tag finder. With these tools, you can position your videos in such a way that they outrank your competitors, giving you free YouTube traffic, from which you can then tap into the monetary opportunities. The main downside to placing too much emphasis on YouTube videos is that ultimately, YouTube does not belong to you. You are simply parking your videos on their platform, should anything happen to the platform one day, you would have lost all your hard work. Read on for the detailed review of Traffic Jeet 4, and who I recommend it to. More and more people are using YouTube these days, it is a fact. If you have the technical know-how to make a decent video, you can upload it onto your own YouTube Channel, and tap on the YouTube traffic to monetise it. Video Jeet 4 is the fourth version of a Video SEO Suite, for which the first version was released in 2013. So it is a product that has been around for a few years, with several revisions made to it, to improve on it, add new features, make sure it keeps up to step with the latest technology, and so on. This is a big positive sign about this product. It shows Cyril’s dedication to add value to his customers. And when something is here to stay, it says a lot about the quality of the product, and how helpful it has been to its users. 1 other huge thing I like, that I find very refreshing, is that he does not make promises of how much you are going to earn, in the next 24 hours, or within the first week, and what not. These are common tactics used by creators of scammy products to lure you in with big, instant profits. Nothing of that sort is seen here with Traffic Jeet 4. Looking very promising, now let’s dive right into the various components of it, to see how it can help your online business. The core application in this product, it helps you with keyword research and rankings. This allows you to conveniently access all the videos that are ranking with your chosen keyword, with details like their category, description, and other parameters. So you can actually analyse how others’ videos are doing well, and learn from them. The keyword checker can also tell you which keyword, among a list of keywords you enter, does not have videos ranking on Google Page 1, then you should go ahead and make a video with that keyword, as it will be so easy to rank. Rank checker allows you to see how any chosen video has been doing in its ranking, over time. This gives you total tracking in YouTube, allowing you to define whatever parameters you are interested in, including physical region. You can also analyse your video against your competitors’ and see how they fair in ranking, on a day to day basis. 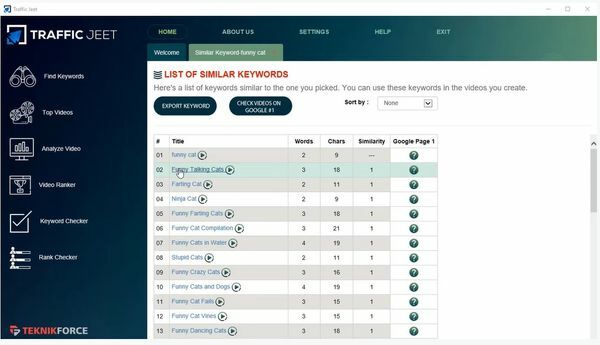 Enter a group of keywords, and this application will use its unique algorithm to show you which keyword will give you the best chance in ranking, and hence get the most traffic out of it. It’s not easy to make sense of YouTube ads in terms of which keywords will really get you targeted traffic. So if you want to make sure you get a high return on investment for your ads, then this software will be able to help you identify keywords to use for YouTube ads. Drill down into the sub niches and side niches of your main niche, to target the specific markets that no one is tapping into. 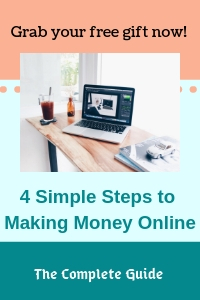 It will give you new ideas and open up new opportunities, as well as set the direction to calibrate your entire online business in order to gain more profits. This allows you to find the tags on any YouTube video, so that you can tap into whatever research that has been carried out by the owners of the top ranking YouTube videos. Will Traffic Jeet 4 work for you? Yes, if you are already making your own videos, and uploading them onto your own YouTube channel. Then this is a powerful tool that can work for you, to optimise all your videos, and make sure they are not just placed there without any proper keyword research and wasting any opportunities. It helps you to easily find, and possibly outrank, popular videos in your niche. Even if you do not outrank them, knowing the description and tags they use will help put your video in a position where you gain visibility, like for instance, on the sidebar when viewers are playing your competitors’ video. Then you get a much higher chance at increasing your traffic. Who will Traffic Jeet 4 NOT work for? Traffic Jeet 4 is not a get rich quick scheme (not that such schemes will get you anywhere), neither is it about getting rewards with little to no effort. It is a great software for people who already know what they are in for, when they set up YouTube channels to make an online business out of it – hard work. Traffic Jeet 4 is not a short cut to get you free traffic. There is no short cut around it. You want free traffic, you really have to work for it. Traffic Jeet 4 is a tool that positions you at a much higher entry level than someone who has no clue about keyword research and ranking. It makes your research and analysis work much easier and convenient. But the core to getting ranked doesn’t change: you need to establish your YouTube channel as the authority in the niche, by flooding it with authentic content that adds value to your viewers, so that they will stay on your videos all the way to the end, instead of closing it within the first few seconds. When you are genuinely helping your viewers and serving their needs, will your ranking start to increase, and free traffic will be sent in hoards to your channel. So if you are not already in the business of making top quality videos with the purpose of benefiting others, then you need not waste your money on Traffic Jeet 4, because your viewers’ interaction with your videos will tell YouTube how they are responding to you. If viewers do not interact positively with your videos, your ranking will not go up, regardless of how well you target the keywords. What if I don’t want to make videos? If you are not savvy with video technology, or like me, just have a phobia for making videos, then setting up your own website will be the way to go. The idea to get free traffic going to your site is exactly the same as ranking for YouTube videos: create great content consistently, so search engines see you as the authority in your niche. Then you will get free organic traffic, which is the best kind of traffic because it is highly targeted. Your content forms the perfect match to what your website visitors are looking for. So conversion rates will be high. Cyril is down to earth, and does not make empty promises in his sales video. I really like it that he goes through each of the 6 tools in detail, showing a video demo of each one. With this, you know exactly what you are going to get, and so can make a totally informed decision. This basic refund policy is in place, in case you are dissatisfied with the product. The entire video SEO suite is nothing short of amazing, and delivers something that is very much lacking in the market. There are numerous good tools to help us with search engines ranking, but for YouTube ranking, I think this product is at the forefront of its industry. Not only can you track and compare rankings and keywords, it also allows you to dig into the sub niches, which is very valuable because you get to open your eyes to see which markets are not tapped into yet. The user interface is neat and friendly, anyone can just pick up the tools and start using them. Personally I find this pricing very worthwhile, for such a high quality product. If you already have a YouTube channel that is up and running, or are serious about setting up one to monetise, I would recommend that you go for Traffic Jeet 4, to put yourself at an advantageous position over your competitors. If you buy it via the one time fee, you only get 1 year of updates of the softwares. There is a limit to the number of keyword searches and tracking operations that you can perform with the front end product. Only when you get the $47 first upsell do you get an unlimited number of searches and operations. This is not made known explicitly in the sales materials. There are other keyword research tools in the market that allow you to store the keywords that you spend so much time researching on, so that you can come back to them for reference. Or you can research in advance for a few videos that you want to make, and then come back to retrieve them when you are actually ready to make those videos. Unfortunately, Traffic Jeet 4 does not have this capability of storing your keywords. Upsell 2: $67 – Traffic Jeet Reseller, which gives you the right to sell the core product at full price, and keep 100% of profits to yourself. Upsell 4: $47 – TubeTraffic Pro, which can post automated comments on others’ videos, allowing you to link back to your own videos (not recommended, because you may possibly get yourself banned). 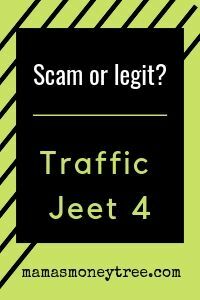 Is Traffic Jeet 4 Scam or legit? Traffic Jeet 4 is definitely not a scam (just like some of the great products I have reviewed: ClickBank University, Funnelize, and Magiimaker). It is a very useful tool if you are making YouTube videos for your own channel. It can help you with lots of detailed analysis in keywords and ranking, so that you put yourself in the best position to compete with others in the same niche. I strongly recommend Traffic Jeet 4. What if you are not into making videos for YouTube channels? How then should you try to make money online? The answer is here: create your very own website, so that you can drive free traffic from search engines to your site. Once you get traffic, there are countless ways to monetise your site. 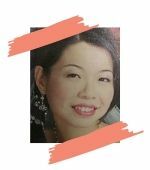 The best way I am going to recommend is neat and hassle-free, where you do not have to own or make any product, deal with any customer complaints, or engage in face to face selling. You simply tap on the millions of existing products that are available in the market, recommend great ones that you think will benefit your website readers, and when they click through your affiliate links to purchase those products, you earn a commission from the companies that own the products.